When artist Wil Medearis moved to Bedford-Stuyvesant, Brooklyn, he became a living witness to the effects of gentrification and the tensions it creates between the community's newcomers and its longtime residents. 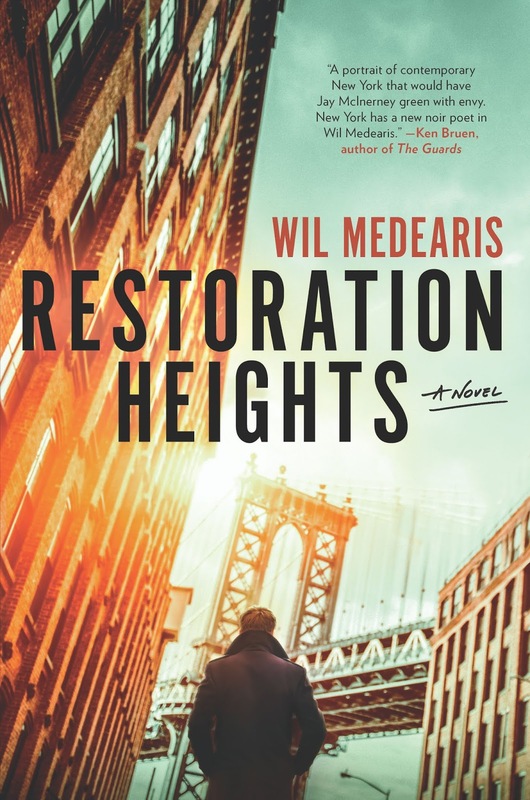 After witnessing the mismatched dynamic of race, class, and wealth that he saw, he wrote his first novel, Restoration Heights, a gripping, mysterious noir tale of mystery and power evocative of Raymond Chandler and James Baldwin. He has created a nuanced, unique narrative of New York City and the people within. The compelling protagonist is Reddick, a young, white artist makes rent as an art handler, hanging expensive works for Manhattan's one percent, and spends his free time at the local Y playing basketball rather than putting energy into his stagnating career and dealing with his artist's block. He sees his good friend Harold, an African-American, Bed-Stuy native who works in construction, at the subway every morning. Reddick was working at the Upper East Side townhouse of the Sewards, one of the country's wealthiest and mist influential art patrons, when he spotted the photo of a girl he saw in his neighborhood the night before. In the dark alley outside Reddick's apartment, the girl. Hannah, who was wasted and combative, had come on to him before disappearing. It turns out that Hannah is the fiancee of the Sewards' son, Buckley, and they react violently to what Reddick tells them because they cannot imagine that she would have ever been in Bed-Stuy. Reddick's concerns are dismissed and he is put on leave from the Seward job, and Medearis writes of when Reddick tells Harold about it, "Another early morning, another subway ride. Harold waiting across the turnstile. "'Hey, remember that story I told you yesterday? About the girl? Well, it got a whole lot weirder.' Reddick told him what happened at the Sewards' house, the coincidence of Hannah's identity and the family's unexpected response. "'In this weather if she's there she isn't camping. I hate to say it. "Reddick considered it. How would any friend of Harold's know something about this - about Buckley Seward? There were layers of New York between them, fortified strata of class and race designed explicitly to maintain an impassable distance." Soon after the Sewards dismissed him, Reddick is immediately summoned by one of their neighbors, who has an interest in the story. Mrs. Leland hires Reddick to look into the case, and this gives him the purpose he has been looking for. Back in Brooklyn, he investigates what may have happened the night he encountered Hannah, and what he discovers disturbs his generally jaded world view. Reddick is led on a tortuous search for truth through a tangled weave of what would seem like unconnected threads, including a temporarily stalled condo project displacing old-time residents, a real-estate developer with ties to Buckley Seward, and elusive neighborhood errand-running young man, and the multi-million dollar world of art collectors across the river in Manhattan. It is one of the most entertaining stories about Brooklyn you will read, especially at this present moment in an ever-changing city. Medearis says of how the plot of Restoration Heights was driven by the issues surrounding gentrification, "In the beginning it's a backdrop, a way to show who Reddick is - where he's from, what he cares about. 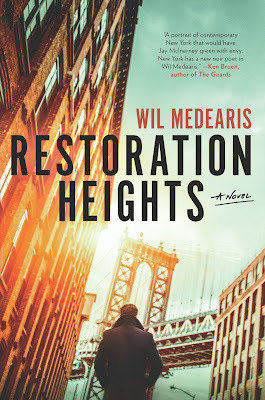 But as he continues searching for Hannah he comes to believe that her disappearance is tied to the Restoration Heights development that for Reddick is viewed as emblematic of the greed and collusion that drives gentrification. Of course, nothing is exactly that straightforward in a mystery novel. 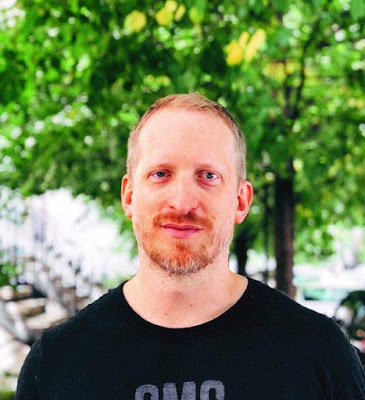 Gentrification is a complex and layered process, and part of what Reddick learns in his investigation is that not everyone in the neighborhood agrees on the right way to fight it, whose fault it is for causing it, or whether it's even a thing that can be opposed." On drawing from his own experiences living in Brooklyn and Manhattan to construct the plot, Reddick said, "I live along the Clinton Hill/Bed-Stuy border and have always been a member of the Bed-Stuy YMCA, which figures prominently in the book, since I moved there in 2010. In a since-abandoned novel that I worked on before starting Restoration Heights I made the mistake of letting the plot dictate the setting, and I ended up writing scenes in places I wasn't very familiar with. So I knew I wanted to ground the book in my immediate surroundings. I wanted my location research to be 'grab a notebook and go for a walk.' It's the oldest advice, to write what you know - and what do any of us know better than our homes?" Medearis said of how he would describe Reddick, "One thing I wanted every major character to have is a surface level and an interior level that contrasted with that surface. No matter how forthrightly you attempt to live your life you always present differently from how you actually are. No one sees you, they see an image of you. In Reddick's case, there is the surface - the thirty-something white guy, trying to make it in some creative career. But as the narrative unfolds you learn all the details that make him an individual - that he's from the South, he was raised poor, in a mostly black neighborhood. You realize that the main source of his unhappiness is the distance between those two levels of himself, the way he presents and the way he feels himself to be. He's aware of how he is seen, and how different that is from how he thinks of himself, and his frustration with that difference gnaws at him. It's an open question, of course, to what degree those differences matter to anyone but him."